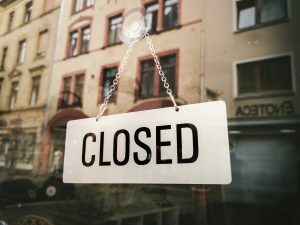 Home › Legal Questions › What effect does liquidation have on a pending litigation? What effect does liquidation have on a pending litigation? In Direct Channel KwaZulu-Natal (Pty) Ltd v Naidu & others (2015) 36 ILJ 2611 (LC) the employees concerned were retrenched for operational reasons. They then referred a dispute of unfair dismissal to the Labour Court. Shortly thereafter, the employer was placed under liquidation and a liquidator was appointed. The liquidator requested the employees to submit their claims against the insolvent estate. They, however, did not respond to the request. The employees did not notify the liquidator that they intended to proceed with their claim in the Labour Court either. The employer argued in the Labour Court that, in terms of section 359 of the old Companies Act (No 61 of 1973), the employees had to give the liquidator written notice within four weeks after the appointment of the liquidator of their intention to continue with proceedings. In terms of the old Companies Act, all litigation ceases the moment an order for the liquidation of a company has been handed down. Litigation can only proceed once a liquidator has been appointed and the litigant has given the liquidator three weeks’ written notice to the effect that the litigant wishes to proceed with the claim. Such notice has to be given within four weeks of the liquidator’s appointment. The old Companies Act was repealed by the new Companies Act (No 71 of 2008) on 1 May 2011, but since the employer was liquidated on 1 November 2010 the court held that the old Companies Act applied to these proceedings. As the employees failed to give the necessary notice, the court found that the employees were deemed to have abandoned their application. Their application was therefore dismissed with costs. Employees would therefore not succeed with civil claims against an employer that was liquidated before 1 May 2011, if the required notice was not given to the liquidator.